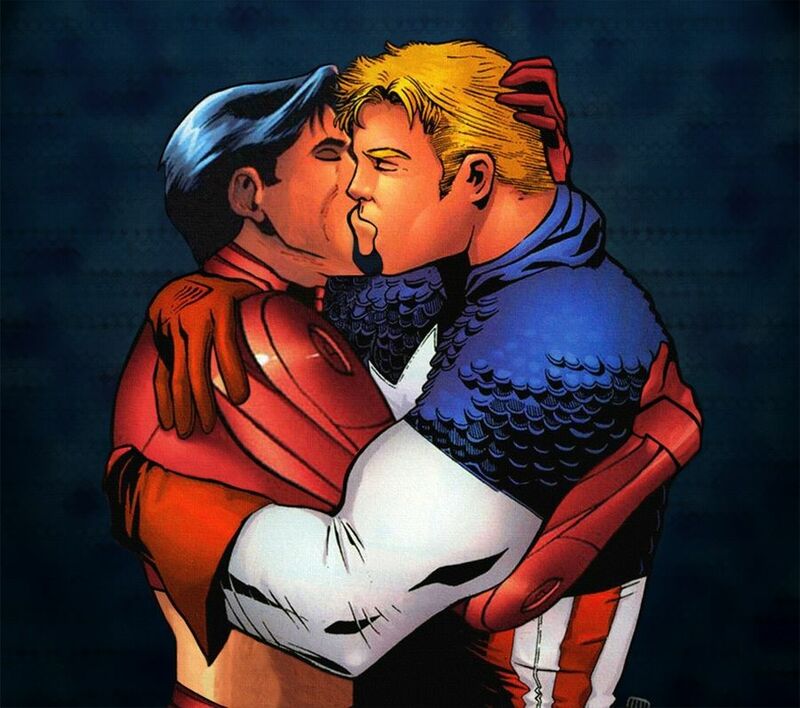 DailyBeast- When a hashtag campaign to #GiveCaptainAmericaABoyfriend caught fire on Twitter this week, a common refrain echoed across the Internet aiming for the ears of Disney execs: Give the Marvel superhero a man to love… because he pretty much already has one. io9– it’s All-New, All-Different Marvel! It’s the All-New, All-Different adventures of Steve Rogers, back in action today as Captain America! And Steve has an All-New, All-Different gimmick to his history that will change the Marvel Universe forever… if by forever you mean a few months or so, although you wouldn’t know it by the way everyone is freaking out. So what’s the twist, you may ask? It’s not Cap’s shiny new shield, which has a fancy laser cutter on it to make up for the fact that Sam Wilson is still running around with the old Captain America shield. No, it’s a twist that, in all honestly you may have already brazenly read on the front pages of Time, or Entertainment Weekly, or the AP (because screw courtesy, right? 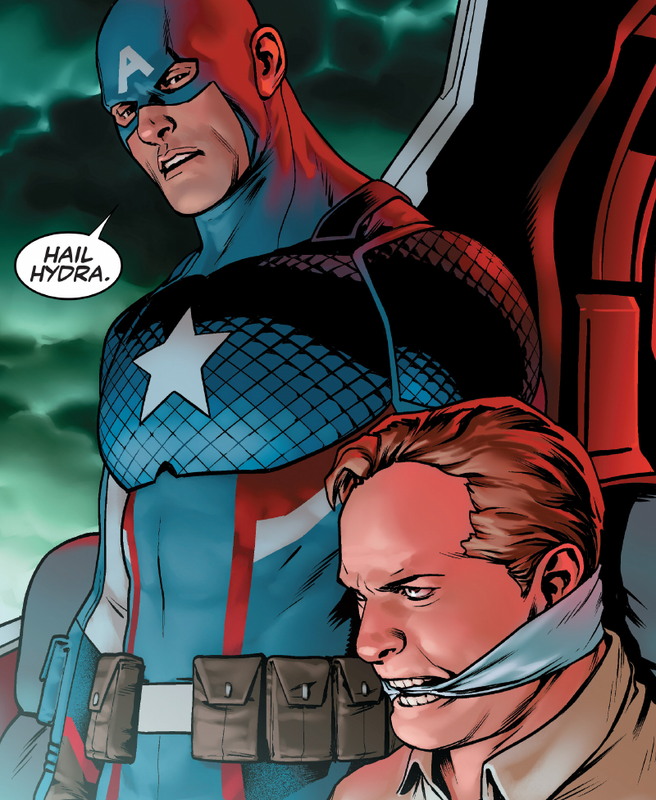 ), but yes, SHOCKING NEWS: Steven Rogers has secretly been a Hydra Agent all along! What a whirlwind of a past 24 hours its been for the First Avenger. Here your character lies after breaking apart the team built to save the world from eminent danger, hiding out in a secluded African nation cryofreezing your long lost friend who’s also a weapon for a terrorist super group. After a long day like that you’d think you’d want a nice vacation for a couple weeks just to get away and relax but next thing you know the world is petitioning you to be gay and you find out you secretly been a hydra agent all along. In 24 hours you’ve pretty much joined the opposite side of your life tenants. Cap was born in the 20’s basically every man’s dream at the time was to go to war just so they can come home and get picked up from the docks so they can unload sperm into women, the baby boom. That was just the times back then. And then on top of that you’ve spent you’re entire life fighting the Nazi deep science division and now guess what, you’re one of them. Cut off one head, two more shall takes its place. Makes room for what ever gay pal you want to bring along I guess. Hope they somehow work this into Infinity Wars with Cap and Bucky trying to get Falcon to assassinate Dr Strange or something giving him deep stares of wanting to try black dudes or something. Lets get weird. This entry was posted in Uncategorized and tagged Bucky Barnes, Captain America, Dr. Strange, First Avenger, Infinity Wars, Marvel, MCU on May 25, 2016 by edlee.